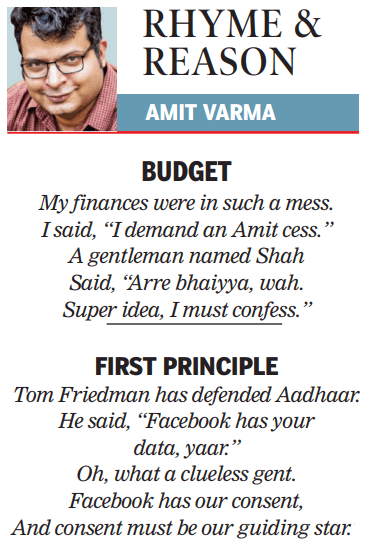 This is the 68th installment of Rhyme and Reason, my weekly set of limericks for the Sunday Times of India edit page. My finances were in such a mess. Tom Friedman has defended Aadhaar. Oh, what a clueless gent. And consent must be our guiding star.